In 1497, Leipzig was granted imperial trade fair privileges, which is the basis of the city’s long trade fair tradition until today. 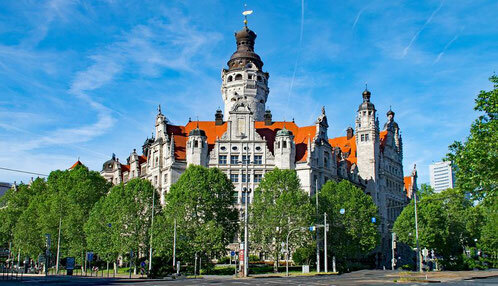 Ever since being a center of commerce and culture, Leipzig has a lot to offer! Hardly any other city can claim such a rich musical heritage as Leipzig. Names like Johann Sebastian Bach and Felix Mendelssohn Bartholdy are inextricably linked to Leipzig. Today, cultural enjoyment is still provided by the Gewandhaus, the Leipzig Opera or the world-famous St. Thomas Boys Choir. Johann Wolfgang Goethe studied in Leipzig and immortalized the restaurant Auerbachs Keller in his play “Faust”. Owing to its unique system of passageways, the historic city center exudes a distinctive flair. Stylish boutiques and top department stores invite visitors to shop and stroll. Most of the city's sights are located within walking distance, e. g. the Old Town Hall, St. Thomas Church and St. Nicholas Church, which was the initial point of the peaceful Monday demonstrations that lead to the fall of the wall in 1989. The Vienna House Easy in Leipzig is located very central only 200m from the central train station. 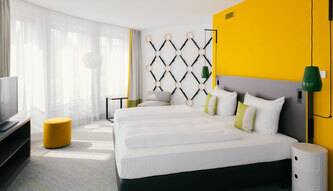 It has just opened in summer 2018 and offers very modern and comfortable rooms with an elegant and fresh design. The living room ambience in the hotel lobby as well as the cozy bakery design of the breakfast room create the feeling of being at home. 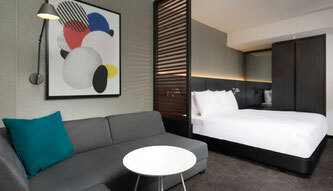 This high class hotel is perfectly situated in the city center. The elegant und luxurious rooms convince guests with high ceilings, precious furniture and decorations of marble. A lavish wellness area and the gourmet restaurant, which offers creative culinary dishes and the finest wine, round off a visit in the Hotel Fürstenhof. Comfortable rooms in a noble design with warm wood tones and anthracite elements and a fully equipped kitchen as well as a sitting area belong to the standard of all the 166 studios and apartments. 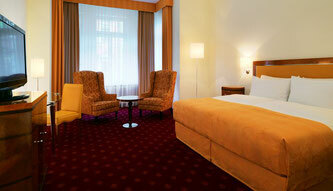 The hotel has a perfect location directly in the city center and in walking distance to the central station. An indoor pool, a sauna and a fitness room are offering the opportunity to relax from a busy day. The Villers is a traditional gourmet restaurant with the ambience of a salon from the 18th century and the perfect address for fine dining in a historical atmosphere. 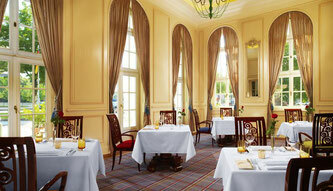 An excellent service as well as extraordinary creations from the French and International cuisine can be enjoyed here. 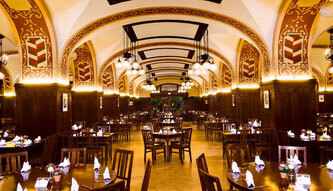 The restaurant Ratskeller is located in the center of Leipzig and offers both national and international dishes. It is one of the most traditional restaurants in the city and attaches great importance to regional and seasonal ingredients. 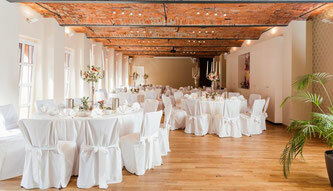 The location offers an historic atmosphere with high and vaulted ceilings and large chandeliers. Auerbachs Keller is the most famous and second oldest restaurant in Leipzig. It was already one of the most popular wine bars in the city in the 16th century and owes its worldwide fame especially to Johann Wolfgang von Goethe. The restaurant is known for its historic setting with high roofs and a special and elegant atmosphere. This stylishly renovated vinegar factory has a unique ambience and consciously plays with the historic fabric of the former factory building. In addition to the two conference rooms, Essig-Manufactur and Lavender, with their restrained charm, this venue offers a lounge in the lower part of the building, which can perfectly be used for gala dinner events. The vaulted cellar impresses with its cozy elegance and promises a relaxed atmosphere. Discover industrial design and a stylish ambience in nostalgic elegance. Your guests will be fascinated by this unique and spectacular location. 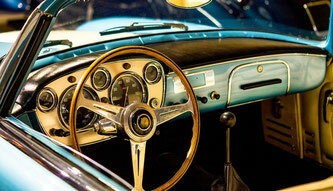 Banquets, gala dinners, presentations or conferences can be staged within the setting of one of central Germany's largest collection of vintage cars. Experience the fascination of a Porsche, before it even exists: take an exclusive look behind the scenes with a guided factory tour. The baptism of fire for every Porsche is a test drive. You can combine your factory tour with an exclusive lunch or dinner and enrich your visit with a driving event at the factories own tracks: the Porsche on-road circuit or the off-road track. 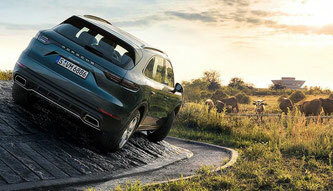 We invite you to join in a real Cayenne off-road adventure. The track is laden with challenges including a 100 m water-filled ditch, an extreme ramp with an 80% gradient and stone steps that the car has to climb. A professional instructor will take you in a small group along this exciting track and you'll be doing some of the driving yourself! The early Leipziger station was opened in 1842. 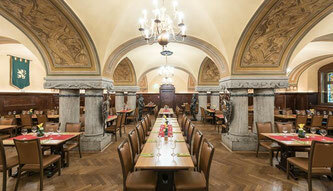 After its partly destruction in World War II, it was first reopened in 2000 as a combining restaurant and brewery. Since then the Gasthaus & Gosebrauerei is the home of a beer specialty: the Original Leipziger Gose. This specialty and other beers are brewed at the in-house brewery. 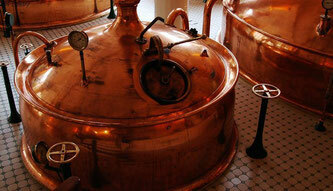 During the guided tour you will see the Biersiederei with its shiny copper tanks, where you get to know the secrets of beer brewing. The whole tour is guided in English and takes 30 – 45 minutes. The tour can be combined with a lunch or dinner. Click here for more information of Leipzig.